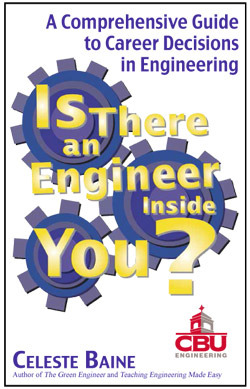 Click here for a downloadable copy of Is There an Engineer Inside You? by engineering educator Celeste Baine. The School of Engineering invites you to participate in our Engineering STEM Activities for college-bound students, their teachers and parents. Some programs are intended for presentation in classrooms or to groups; others are suited to small groups or individual student participation. Engineering Speakers are available to meet with groups of students and present a variety of engineering topics. Other topics can often be developed to address a specific need or request. Engineering Workshops are afternoon programs designed to familiarize students with one or more aspects of Engineering. High School Engineering Competitions are held each April. Students create, design, engineer, and build a device (ex. bridge, car, aircraft, tractor, crate, or package) and bring them to the CBU campus for testing. If any of these activities seem appropriate for you and your students, please contact us at (901)321-3405 or engineering@cbu.edu. If there are other ways in which we might support your students and their education, please send us your suggestions or contact us to discuss the opportunity.